It is more important than ever to make sure your Google+ profile and page are optimized to support your business goals so you can extend your marketing reach. Google integrates Google My Business listings with organic results, which gives these listings greater prominence. In many instances, Google My Business 'local' listings will be displayed above organic SEO results. These results are triggered by searches combined with the users geographical location. Understanding verified and optimized listings. Google Places/Maps, currently known as My Business, operates slightly differently compared to traditional organic search results. There are only 7 places positions available. To appear, you must beat your competitors. While Google My Business optimization does share a number of factors in common with traditional web SEO, there are some key differences. Relevance is how well a local listing matches what someone is searching for. Adding complete and detailed business information can help Google better understand your business and match you to relevant search results. Just like it sounds - how far is each potential search result from the location term used in a search? 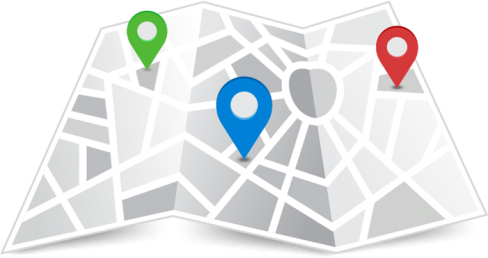 If you don't specify a location or your marker is incorrectly positioned, Google is less likely to return your business when users are searching in your area. Authority relates to how much Google ‘trusts’ your Business or Brand. Simply verifying your Google My Business listing increases its authority, but by providing complete information in your profile you can boost that further. All activity on your Google My Business helps to increase your 'trust' level. Posting regularly, adding photos, and encouraging your customers to write reviews and interact with your Google+ page will all help Google view you as more trustworthy. One of the most important factors of verifying your Google My Business listing that is often overlooked, is how Google is using these listings to get a better understanding of the 'bigger picture' . By properly linking your website and your Google My Business listing together, Google can recognize them as the same 'Brand' or entity, and as such the 'trust' or authority of each become one and the same; Activity on your Google+ page can increase the authority of your website, and result in your site coming up higher in organic rankings. This can further be optimized by linking in your Google Analytics, Webmaster Tools, Adwords and Youtube channels. Activity on your Google+ page can increase the authority of your website, and result in your site coming up higher in organic rankings. Step 1 - Search for your business. Start typing your business name and click on it when you see it in the suggestions. If you do not find your business click the green can't find your business button. Well wasn't that easy. All you need to do now is double check that the information is correct, add your personal contact details, and a member of our team will be in touch with you very shortly"